Located in Katy, TX. 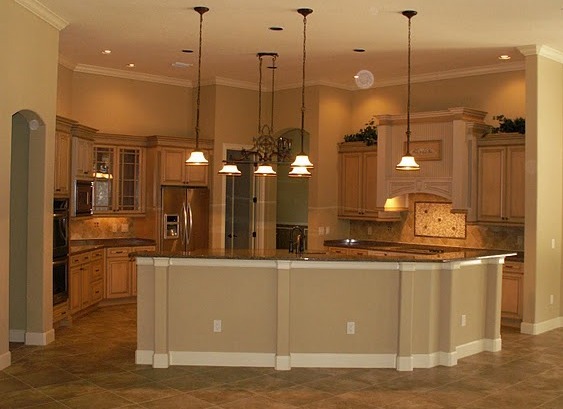 Royal Flooring & Remodeling is both a Commercial and Residential Flooring and Remodeling Contractor. We are dedicated to our customers and their concerns. Whether it's new construction, renovations, or tenant improvements, we can provide the flooring, cabinet, and countertop solutions needed for your project. Our professional installers are available seven days a week to complete the job correctly and on time. For projects that require special scheduling, we will work with you or your company to accommodate your project needs. With daily deliveries from our suppliers, we have the capability to ensure that your material is ordered and installed efficiently. Our Company is guided by our Mission Statement: "To listen to customers needs and professionally provide service and material at a great value, while honoring God and always treating people as we would like to be treated." We would like an opportunity to become a working partner with you or your company and help provide solutions to all your flooring needs. Exceeding your expectations is our goal. We believe that people are Royal Flooring & Remodeling's most valuable asset. We believe that our word and dedication to service is a result of our people and our culture. We believe that together as a team, using our diverse talents and skills, we can achieve more. We will help each other to balance our commitments to excellence, our customers, and our community. How we perform as individuals, will determine how we perform as a team. We believe in doing what is right for our customers and fellow team members. We will make every effort to uphold the Core Values and Mission Statement of Royal Flooring & Remodeling in every action we take and in every decision we make. Our service and reputation rest upon the integrity of each individual's efforts. Our goal is to treat our customers as we would like to be treated. We genuinely desire our customers to know that we value and care about them. We will make every effort to commit ourselves everyday to exceeding their expectations. We are committed to continuing Royal Flooring & Remodeling's tradition of winning. We are empowered to overcome obstacles by doing what it takes to meet the needs of our customers and support our fellow associates. Our commitment to our customers is to have the desire and enthusiasm to be the best flooring contractor in Houston. We will live up to our commitments and hold one another accountable. We will take ownership of problems and challenges that confront us and ensure that they are resolved to the satisfaction of all parties. Each day will be embraced as a day of service to the customer and not as "just another job". Everyday we will take the initiative to find ways to complete our work better, smarter, and faster--and to help each other to improve. We will use all of Royal Flooring & Remodeling's' resources to seek opportunities for personal and professional growth and development. Our goal is total customer satisfaction and building relationships for life.